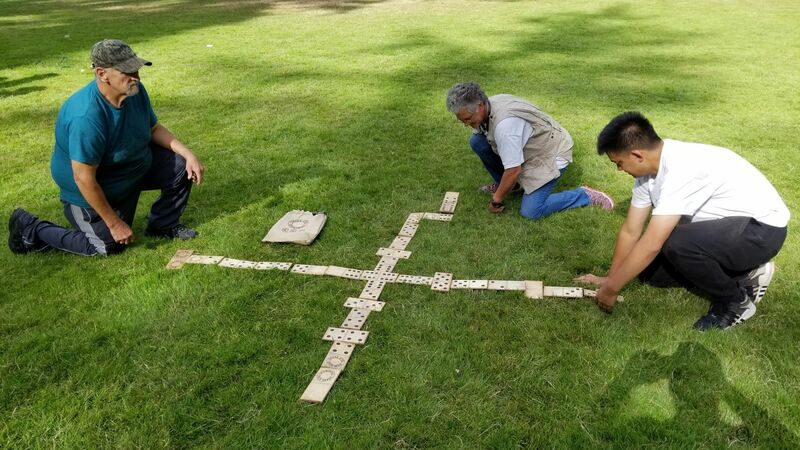 Play our Snake Eyes Yard Dominoes indoors or outside. Great for your next BBQ or next event. Whether you're looking for a cotton candy machine rental, a fun inflatable obstacle course or one of our dunk tank rentals, we have you covered. 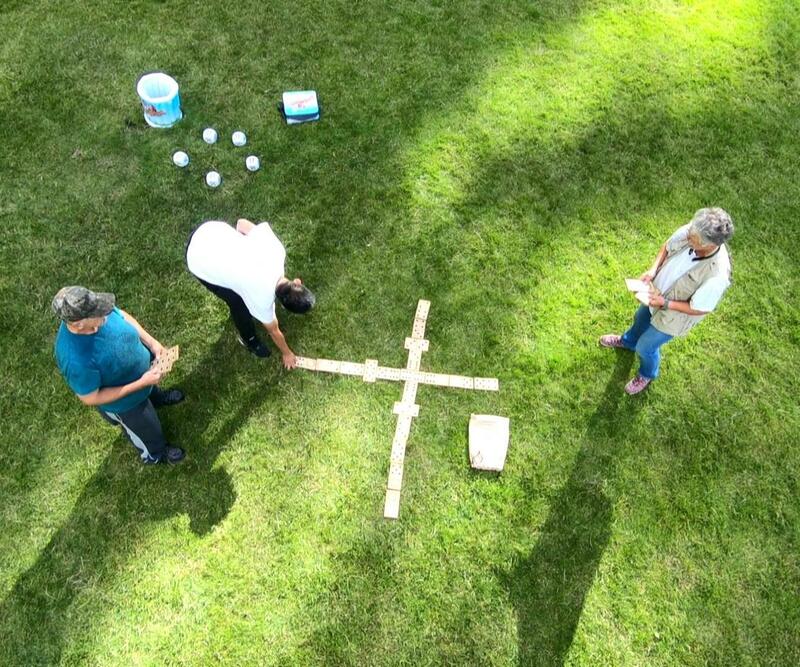 Our vast inventory is sure to amaze and delight your guests, and we are sure to have everything you could imagine. 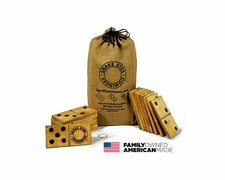 28 Solid wood dominoes with branded pips! Made in the USA! Finished with a natural stain.